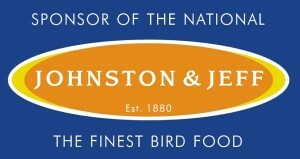 The National Exhibition is Britain’s largest exhibition and sale day of caged birds and associated supplies. 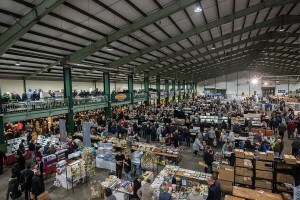 The National Exhibition is held at Stafford County Agricultural Show Ground, a tried and tested venue capable of holding the event successfully. The Show opens at 9.30 am and for sat nav users the post code is ST18 0BD. For Entry details and Show prices, please see Show Information Page. 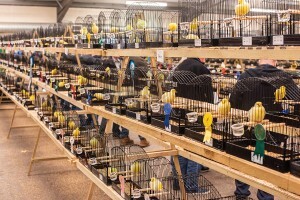 The National Exhibition provides not only members of the Parrot Society UK (PSUK), but non-members as well, the perfect environment to sell surplus stock and acquire new fancies or blood lines to develop and enhance your breeding success. The show also attracts many varied trade stands meeting your every need, whether that be nest boxes suitable for large Macaws right down to that all important treat for your pet Budgie. Carry Boxes - all varieties of carry and transportation boxes, for small and large birds. Supplements - Many specialist stands selling tonics, additives to enhance the health of your bird and increase those breeding and show results. Toys - Everything your Pet Bird requires, from pacifiers to special treats. The other aspect of The National Exhibition is of course the Exhibition itself. There are 18 specialist Bird Societies which joined with The Parrot Society in 2007 to exhibit birds to the highest of standards. Our canary clubs are exceedingly strong and very supportive to the exhibition. There is usually an award of a beautiful inscribed Rose bowl kindly donated by Ray Howells of Birds and Things for The Best Bird in Show.